In order to build competitive, safe boats that are distinctive, a matchless blend of know-how, boat-building skills and dedication is required. A plan that takes into account the preferences of customers and incorporates an understanding of both global and area-specific markets is essential. Finnish boats are known for their forward-looking design and high quality. Currently, we Finns sell our boats in some 40 countries. We’re constantly on the move to check out trends and discuss mutual issues with boaters and dealers around the world. We utilise the best available designers to combine forward-looking design with clever ergonomics and smart engineers to maximise production efficiency. In developing marine- and production technology, a lot of our research is oriented towards uncompromising quality. 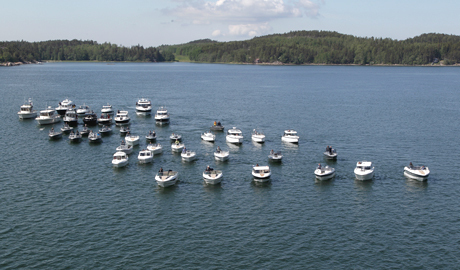 This is carried out not just by individual enterprises but jointly with the Finnish boat and marine industry. Only through shared innovation are we able to avoid overlapping work and effectively focus on the essentials. Environmental awareness is a major issue for us. So much that over many decades it has become ingrained in the psyche of our craftsmen at every stage in the manufacturing process. 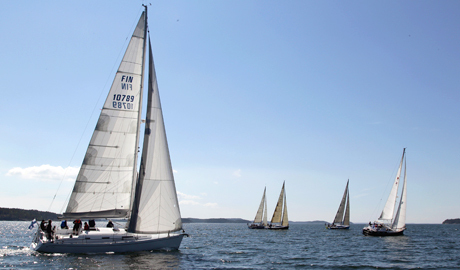 Our pioneering work in the development of materials attests to the fact that Finnish boats are in the forefront in terms of marine-aluminium, ABS-plastic and fibreglass technologies. Annually, we produce some 20,000 boats, the largest being close to 200 feet. From this diverse array of Finnish boats you’ll find exactly the right one for your needs – a craft that is timelessly styled and built to withstand the toughest conditions. On this site you’ll find the products of some 40 Finnish enterprises offering world-class sailing boats, motor boats, equipment and services. Contact us, either directly (info[at]finnboat[dot]fi, +358-207 669340) or through Finnboat. We’ll gladly help you make one of the best decisions of your life.